HOPE – Summer schedules in the Hope Public School District began June 4 for a number of activities. Summer hours for the HPSD administrative offices will begin June 4 and continue through Aug. 2. Administrative offices will be open from 8 a.m. to 5 p.m., Monday through Thursday during the summer. Summer school will be conducted on the Hope High School and Clinton Primary School campuses this year. 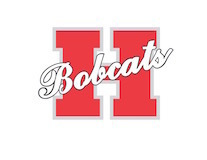 Classes on the HHS campus begin June 4 and continue through June 22. Summer school at CPS will begin June 11 and continue through June 29, with classes from 7:30 a.m. to 3:30 p.m., Monday through Friday. Summer nutrition programs will be conducted from June 11 through July 27 free of charge for children ages 18 and under from 11:30 a.m. to 12:30 p.m. each week day at the Fair Park Tennis Court Pavilion, Northside Park New Pavilion and HHS campus. Breakfast will also be served at HHS during summer school. The Hope Bobcat athletics program opens its summer conditioning schedule June 4 with workout days in the Bobcat indoor facility gym from 8 a.m. until 4 p.m. Workout days – June 4-7, 11, 13, 14, 18, 20-21; July 9, 11-12, 16, 18-19, 23-26. July workout days will be directed by position coaches at time set by coach. June 12 – Benton 7 on 7; leave 7 a.m.
June 25-July 6 – Dead weeks; no activity. July 10 – Hot Springs Team Camp; leave 4 p.m.
July 17 – Hope Team Camp; report 5 p.m.
July 30 – Begin fall practice schedule; report at 7:50 a.m. through start of school. Junior High schedule – July 10, Texarkana 7 on 7; July 17, Hope 7 on 7; July 24, Nashville 7 on 7.